Are We Creating Chronic Homelessness? Learn about the causes of family/youth homelessness. Here is Diane's 1-page list (PDF). Spend 4-min. watching Diane's touching video. 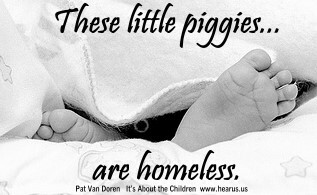 Restore/strengthen your compassion for homeless families/youth. 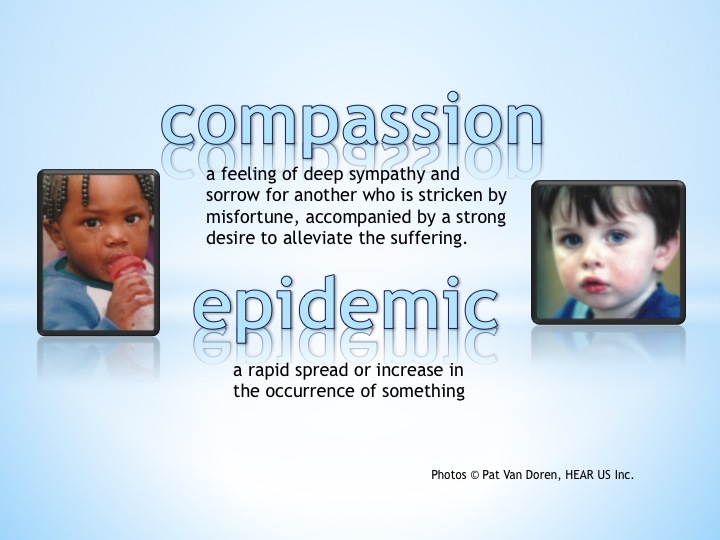 Peruse HEAR US Compassion Epidemic Action Guide! Simple suggestions to get folks involved in making your community a better place! Download this 1-page HEAR US "Compassion Epidemic" menu (pdf) and get going! 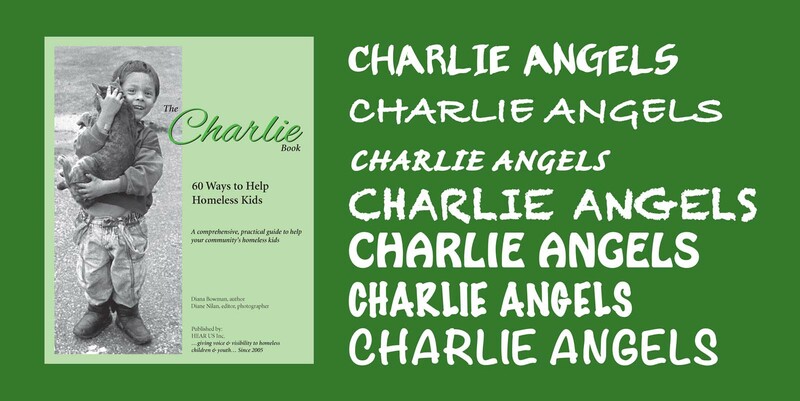 Better yet, get the Charlie Book! ORDER HEAR US materials to expand your audience's view of homelessness. Read a great article on compassion. 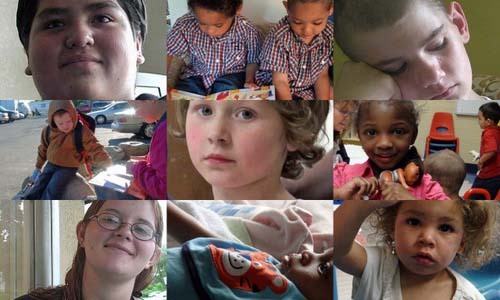 ADVOCATE Help us make an issue of homeless families and teens! 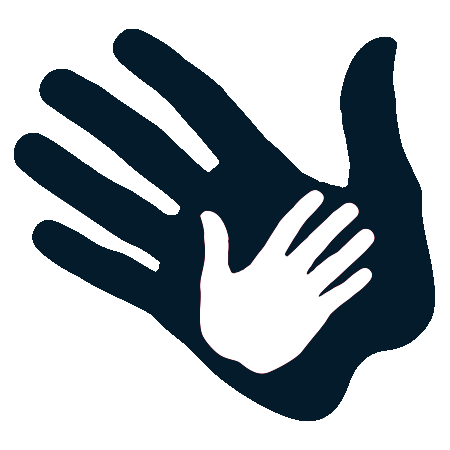 As issues affecting homeless children, youth and/or families arise, we will post information and suggested actions. Watch HEAR US' 2 1/2 minute video, So They Say, that explains the homeless definition issue. Check in often on our HOT ALERTS. We've succeeded before thanks to folks like you! SUCCESS! Important changes to McKinney-Vento Homeless Ed law made! After over a decade of advocacy, improvements to the homeless education law took effect 10/16. Thanks to all who advocated! Track changes and updates in this important law. FAFSA FIX VICTORY! Now that unaccompanied homeless youth can more easily apply for financial aid for college we need to make sure people know about it. CLICK HERE for important info to open college doors for qualified homeless youth. MY OWN FOUR WALLS tells the story of homelessness in a way that nothing else does. What a great tool to pass on to your member of Congress..
on the edge: Family Homelessness in America, the HEAR US film which has aired on PBS, illuminates the world of homeless women. Littlest Nomads is a HEAR US film that calls attention to the mostly ignored homeless baby and toddler population. 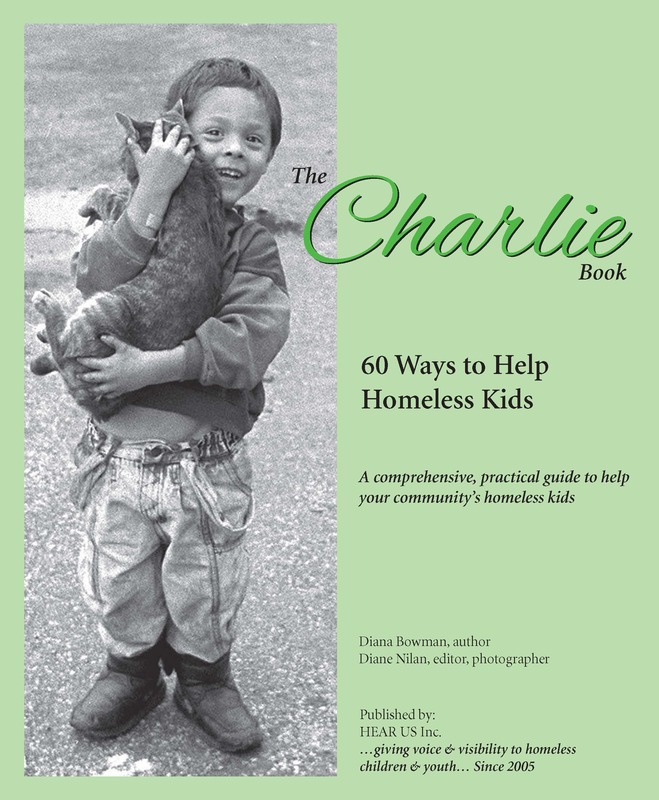 GET the HEAR US Book: "The Charlie Book: 60 Ways to Help Homeless Kids." ARRANGE a showing of My Own Four Walls, on the edge or other HEAR US videos in your community. MEET with your local, state government representatives and/or Member of Congress to share My Own Four Walls and/or on the edge to relate your concerns about homeless families and teens.